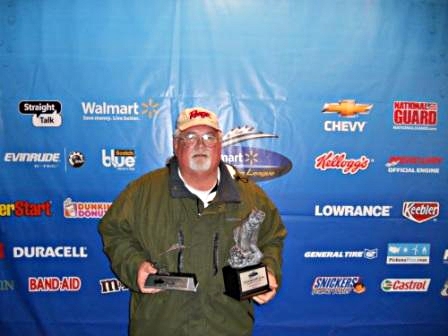 Boater Garry Hicks of Cullman, Ala., caught a five-bass limit weighing 19 pounds, 2 ounces March 5 to win $4,163 plus a $2,000 Ranger Cup bonus in the BFL Bama Division tournament on Lake Martin. 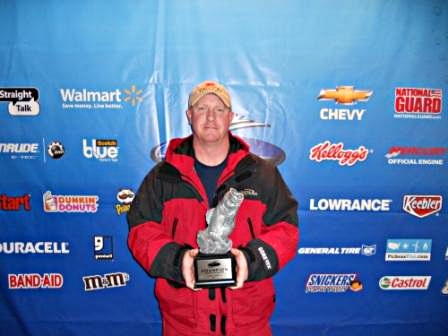 Timothy Watkins of Trussville, Ala., caught a five-bass limit weighing 11 pounds, 14 ounces March 5 to win $2,082 in the Co-angler Division. The next BFL Bama Division tournament is scheduled for April 2 on Lake Eufaula in Eufaula, Ala. After the fifth Bama Division tournament is complete, the top 40 boaters and 40 co-anglers based on point standings will qualify for the Oct. 20-22 Regional Championship on Lake Chickamauga in Chattanooga, Tenn. Boaters will compete for a top award of a Ranger 198VX with a 200-horsepower Evinrude or Mercury outboard and a Chevy Silverado, while co-anglers will fish for a new Ranger 198VX with a 200-horsepower Evinrude or Mercury outboard.